In your house, you are likely to have old belongings you no longer need. These can take various forms, from old clothes and books, unused furniture, CDs and DVDs that you don't plan on using, to tools that have been replaced with new ones, broken ornaments, old toys and much more. These goods do nothing but take up space, prevent you from getting new goods and you will still have to clean and arrange them occasionally. If you are looking to get rid of such items, it can be a difficult task. But when you have Rubbish Removal Wembley to help you with house clearance in Wembley, HA0, things will be simple, as you will soon see. Our HA0 property clearance team can be with you in HA0 shortly after you call us on 020 3795 9578. We will tackle a wide range of house clearance chores in order to help you with every aspect of the job. Normally, such chores can be difficult to handle but we aim to make them easier. You will not have to sort, bag and break up items alone, you won't need to struggle to shift items out of the building, and you do not have to have the proper vehicles and don’t need to know where to take goods. We will handle all this and do it well. We guarantee that all the work will be done carefully and emphasis on safety is assured. In order to give you the best house clearance services in HA9, we employ the most expert staff. The Wembley home clearance team we send to your address in HA0 will be skilled and experienced people who can handle the job without any problems. Call us now on 020 3795 9578 and learn more about the people we will send to you. They will be able to arrange and sort items with you, break large, old goods up and bag them and they will have no problems with carrying items throughout your house and getting them outside. They will have the best vehicles for the job, so everything can be safely transported away. Once we have the items, will ensure they are destroyed, recycled or whatever, legally and safely. 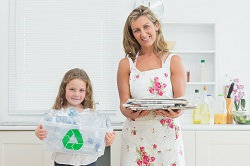 We work with various recycling agencies in HA9 to ensure you get the greenest household junk removal service. We don't want things to be tossed into landfills, so we work to recycle as much as we can. We will see what can be made into new belongings or reused. 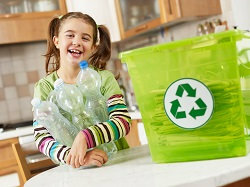 We do this work for you and promise that we will recycle most of your goods. Various firms in the area will take the goods from our hands and do this work, so that you know it is being done above board and the best results will be achieved. This service does not add to the cost of your HA0 domestic clearance, so you still get the best value for your money. When you get in touch with Rubbish Removal Wembley on 020 3795 9578 we guarantee you will get the best deal in Wembley, HA0. We will fill you in on everything you need to know, so that you are fully knowledgeable about what we do. We will also provide a free quote for your flat clearance, which ensures a cost-effective service. You get to see the price in advance and work out the deal you want. You can select what services you need, how many people we should send, when you need us and more. You will pay accordingly, so you are guaranteed the best experience. For more info on our Wembley house clearance support, call us today. Company name: Rubbish Removal Wembley Ltd. Description: Stop fighting with the rubbish and take advantage of our cost-effective rubbish clearance services in Wembley, HA0. Call 020 3795 9578 for a free quote! © Copyright 2015 Rubbish Removal Wembley Ltd. All Rights Reserved.